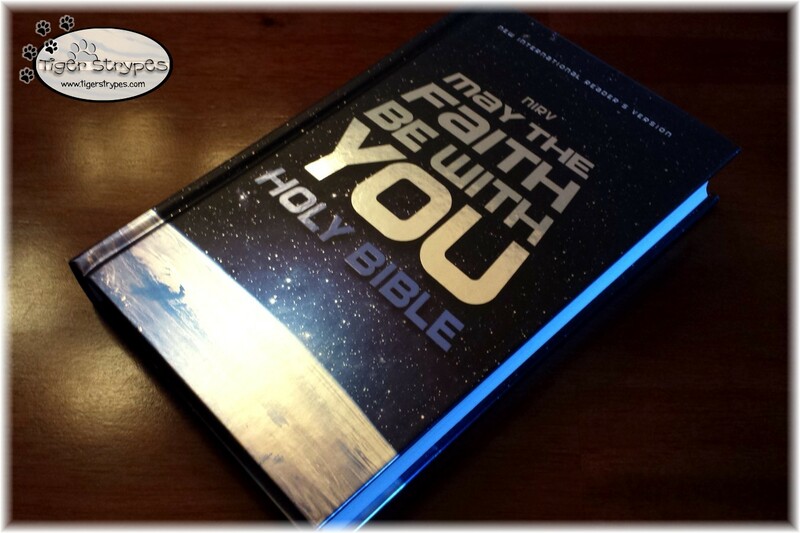 I got to review the new May The Faith Be With You Holy Bible recently and absolutely loved it!! 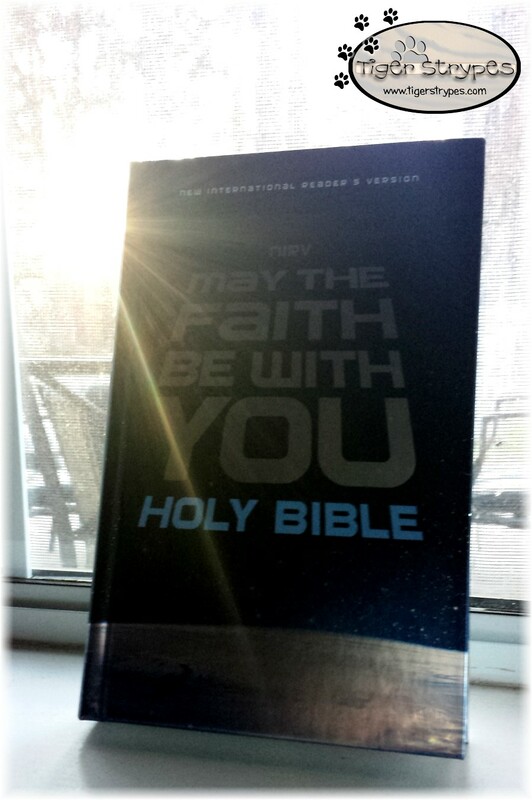 My husband is a huge Star Wars fan and has even talked about how there are certain things in the movies that go with Christianity. There have been many different posts about how that pertains, including this one over at Crosswalk. Since this bible would probably have a lot of those references, I couldn’t wait to review it. When I received it, I first thought that I definitely needed to hide it from my husband, since it would be the perfect Christmas gift for him!! 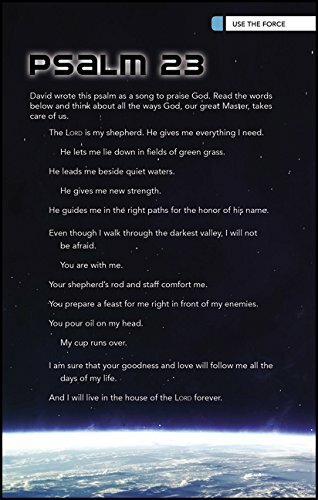 He has loved SW since he was little and I figured that this would be a great way for him to enjoy God’s Word in a different light. 🙂 I took the photo above and thought it looked like something that God was using to show how bright His Word is. It looks like a light saber on the edge (no photo editing there, it just happened), so I knew that God was working through this post. I would definitely recommend this bible. 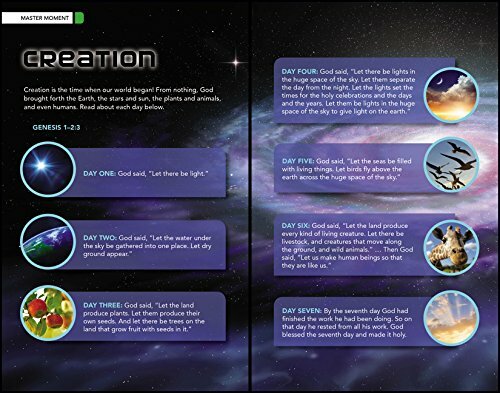 It’s perfect for young kids, or older kids that really love to learn God’s Word. Great gift idea for the holidays, or any occasion during the year. Find out below how you can get one, and let me know who you might gift one to! 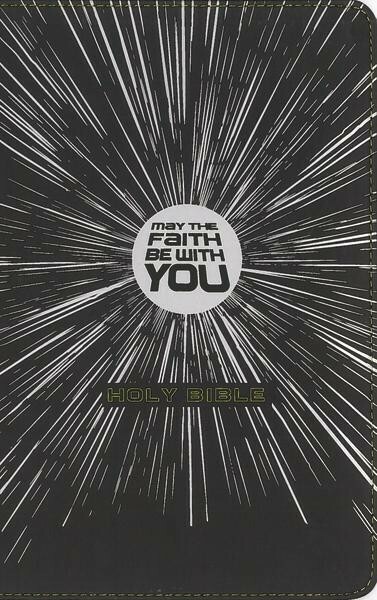 We have this same Bible, giving it to my son for Christmas! First I’m hearing about this version of the Bible. I’m sure it would be enjoyed by anyone receiving it.